Am I willing to stop the unsafe work of coworkers and subcontractors in order to keep the individual and those they work with safe? You have to take responsibility for your own safety and the safety of those you share a job site with. You have the authority to stop unsafe work of any kind by any employee on the site. It can be uncomfortable or awkward to confront a coworker, a stranger, and especially a superior. But, don’t let a moment of discomfort keep you from stopping unsafe work. The goal is for everyone to leave the site in the same condition as when they arrived. Am I wearing the required PPE provided to me? The safety equipment you’re given isn’t arbitrary; it has a purpose. It’s based on protecting you from the most common injuries that occur on construction sites. Your gloves, vests, glasses, hard hats, and boots all have a purpose and they’re meant to be worn at all times. Don’t make the mistake of thinking you don’t need, or are too cool, for your PPE. Construction professionals committed to safety think of their PPE as a uniform. And don’t forget replace your safety gear as it becomes worn out. Has anything changed on the site today that poses new hazards for me or anyone else? 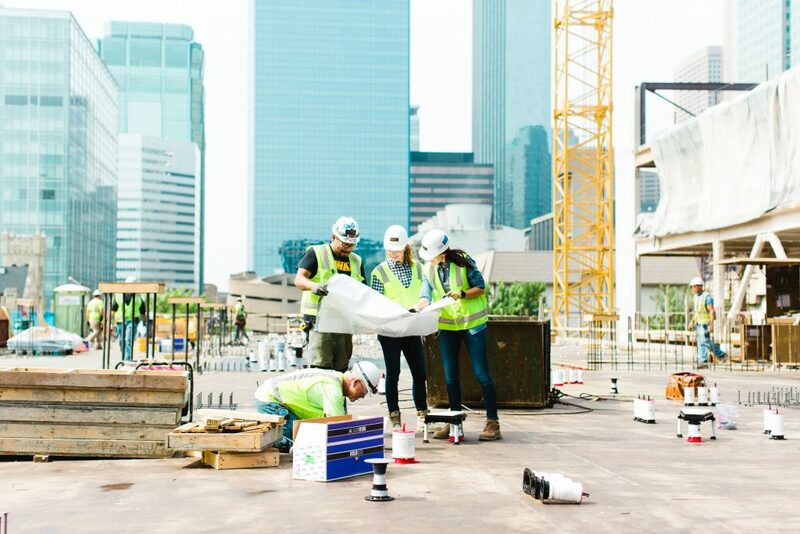 As we all know, a job site is constantly evolving. Every time you set foot on a construction site, it’s important to take note of what has changed from the day before. Consider the weather, scaffolding, other contractor’s work, and your own tasks for the day. In addition, Check your equipment and tools every day. It can be easy to get complacent and skip these steps especially when the project pace is fast but the few seconds it takes to assess the hazards and check your equipment is worth your safety. Do I believe zero injuries is possible? If you don’t truly believe zero injuries in achievable, you need to challenge your mindset on safety. To set the safety goal at anything other than zero is to say that severe, disabling, and life-threatening injuries are acceptable on construction sites. They’re not. The goal must be zero injuries and if you don’t believe it’s possible, you’re not truly going to do what it takes to stay safe. This entry was posted in Construction, Safety and tagged construction, contractor, safety on November 5, 2018 by Laura Neary.